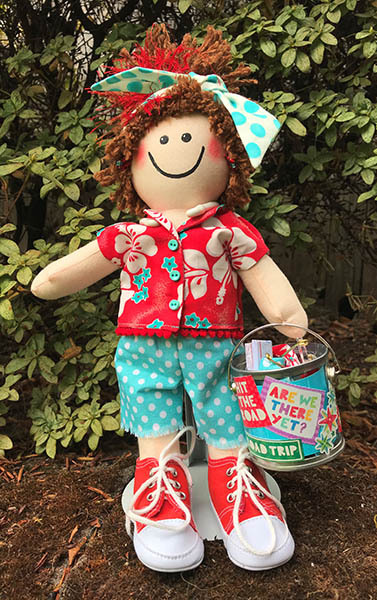 Create your own Gadabout Gal with her own style and personality and share all of your adventures together—and with us! Gadabout: (noun) wanderer, traveler, explorer, journeyer—yup, that describes these girls! And they want YOU to join them! 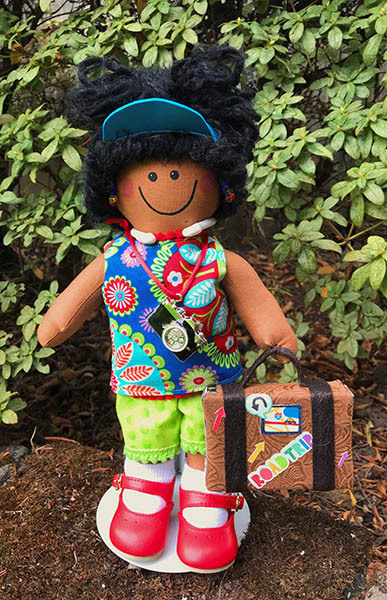 Create your own Gadabout Gal and take her with you on your journeys (good places to eat, sites to see, quilt shows, quilt shops etc.) then share your adventures on the Gadabout Gals’ Facebook Group hosted by Pieceful Designs. Join the fun and find some new friends and places to explore! 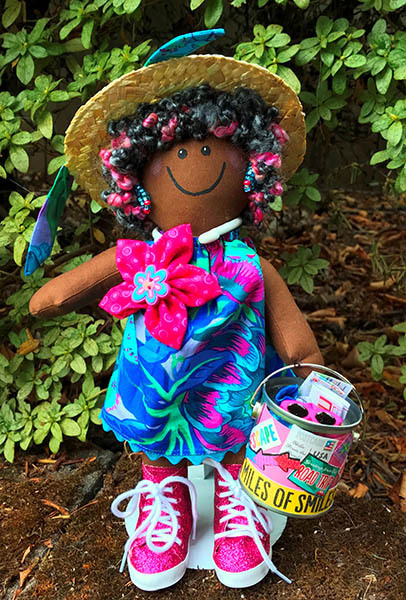 Pattern includes templates and instructions for all three dolls, two shirt styles, pants, dress, visor and bandana. Approximate size: 12” Tall.